January 25 & 26 at 7:30 PM, January 27 at 2:00 PM. This is a Special Event – Sunset Flex Tickets, Sunset Vouchers, Sunset Gift Certificates, Entertainment Coupons, or any Sunset Playhouse special offers, are not valid for this show. 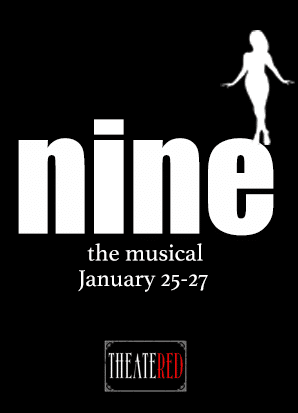 NINE tells the story of a famous film director who is suffering from a creative block-and personal difficulties with his wife, mistress, the actress who serves as his muse, and his female producer-in Maury Yeston, Arthur Kopit and Mario Fratti's musical adaption of the Federico Fellini film 8 1/2. Guido Contini attempts to come up with a plot for his next film as he is pursued by hordes of beautiful women, all clamoring to be loved by him and him alone. 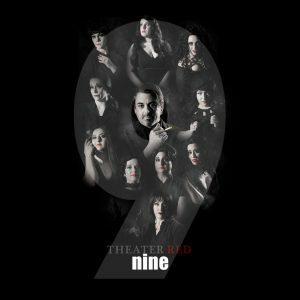 Flashbacks reveal the substance of his life which will become the material for his next film: a musical version of the Casanova story.